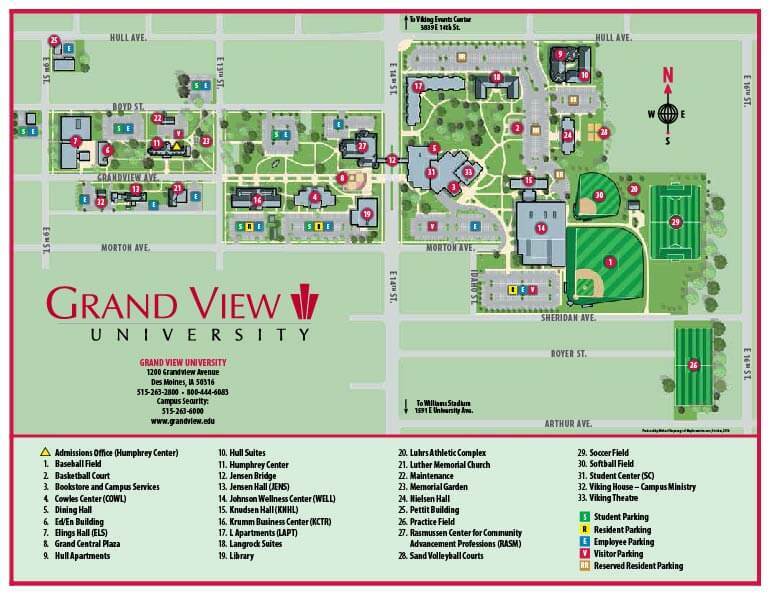 Grand View's 50-acre campus is in the heart of Des Moines, Iowa, a major metropolitan area exceeding half a million people in central Iowa. Easily accessible from Interstates 35 and 80, Grand View is 4 hours from Minneapolis, 6 hours from Chicago, and 3 hours from Kansas City. For parking regulations and vehicle registration information, please visit our Campus Parking page. If you have any questions, please contact us toll-free at 1-800-444-6083.